104 S Spring St, Los Angeles which is a restaurant named "". 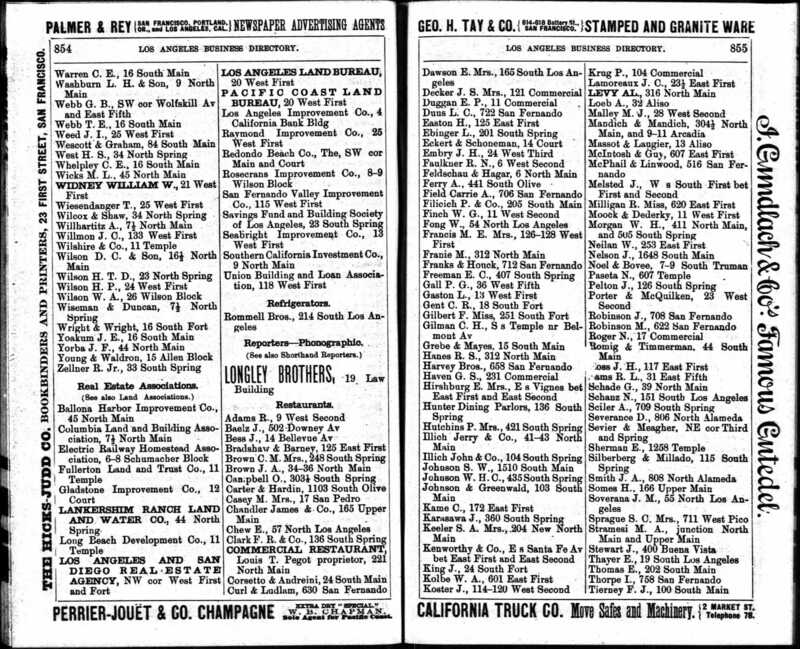 Notes for the address: 1888 Los Angeles City Directory. p855 Illich.